Chambord is on an estate of about 5440 hectares and is enclosed by a 32km wall that is 2.5 metres high. The exterior of this chateau in itself is enough to make us say, “WOW” over and over again. 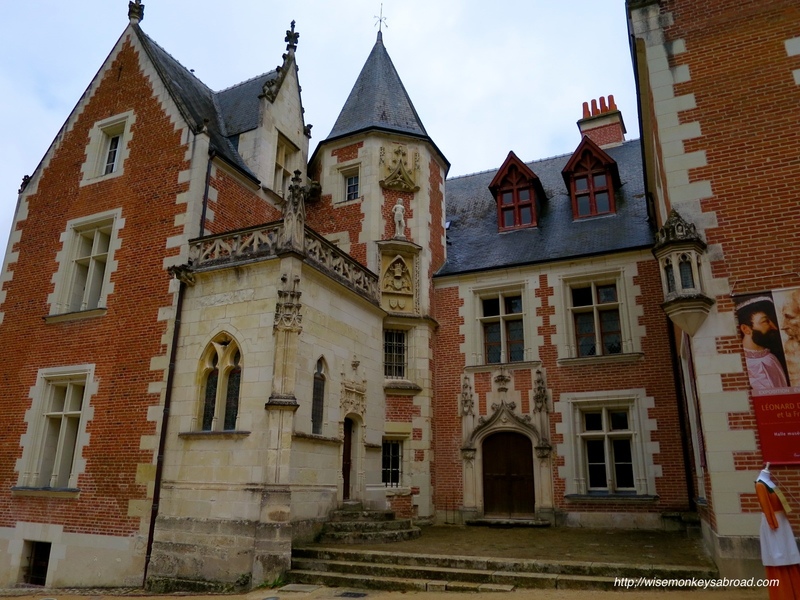 Especially knowing that it was intended to be “only” a hunting lodge by King Francis I. He wasn’t alive to see it completed with its 77 staircases, 282 fireplaces and 426 rooms. The most famous of staircases, which is believed to be the idea of Leonardo da Vinci, is the double spiral staircase that links the three floors in the centre of the keep. The two stairwells wind independently of one another and never meet, although you can see through to the other whilst on one. 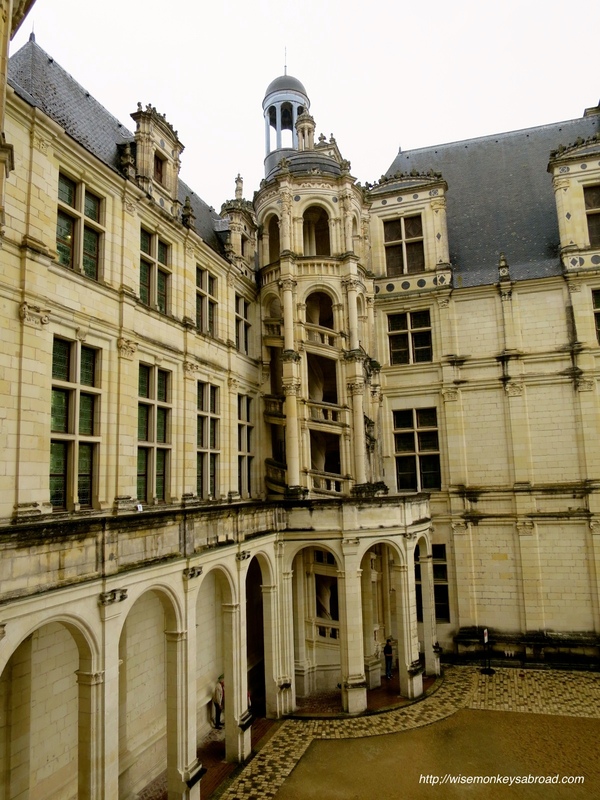 The difference between this chateau and the others is the sheer extravagance and size of it. The rooms, stairwells corridors all weave upon themselves and getting lost is only natural. It is however not as warm and welcoming as some of the others that were inhabited. The ceilings high, the rooms cold, the hallways dark, it is not somewhere we would want to be stuck in at night time. We did say however, it would be ideal for a murder mystery night. Anyway, adding to the rather aloof atmosphere, there is much to suggest the prestige in hunting. The walls are adorned with deer heads or art depicting hunting. It was a little overwhelming and confronting. And of course there is a room displaying the trophies. A little bit of trivia to finish off the Chambord showcase: the vaulted ceilings are carved with King Francis’ F monogram with a salamander; his emblem which is a mythical animal able to live in fire. Chambord is located 77km north east of Tours. Extended opening hours from April to September with one admission and access to 800 hectares of parklands where you may sight a wild boar or deer. 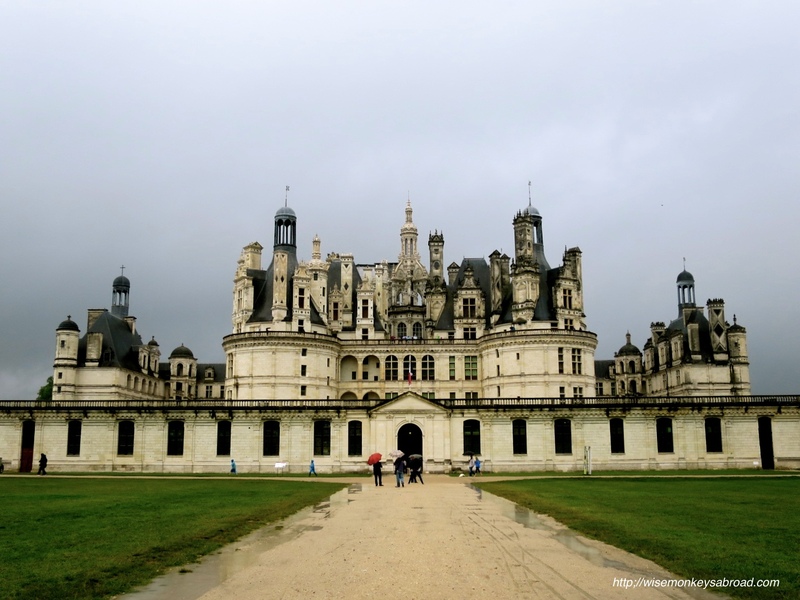 This entry was posted in France and tagged Chambord, Chateau de Chambord Chambord, chateaux, France, hunting, hunting lodge, King Francois I, Loire Valley, Photography, Tours, Travel. For a few days, we were walking through the same hallways that Leonardo da Vinci did during the last few years of his life. 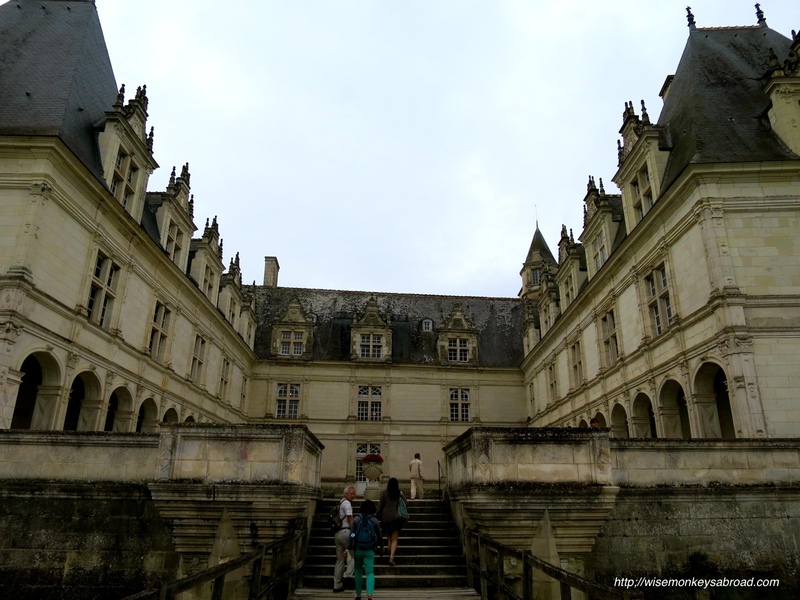 We also walked where Catherine de Medici did and where other French kings and nobility had walked. 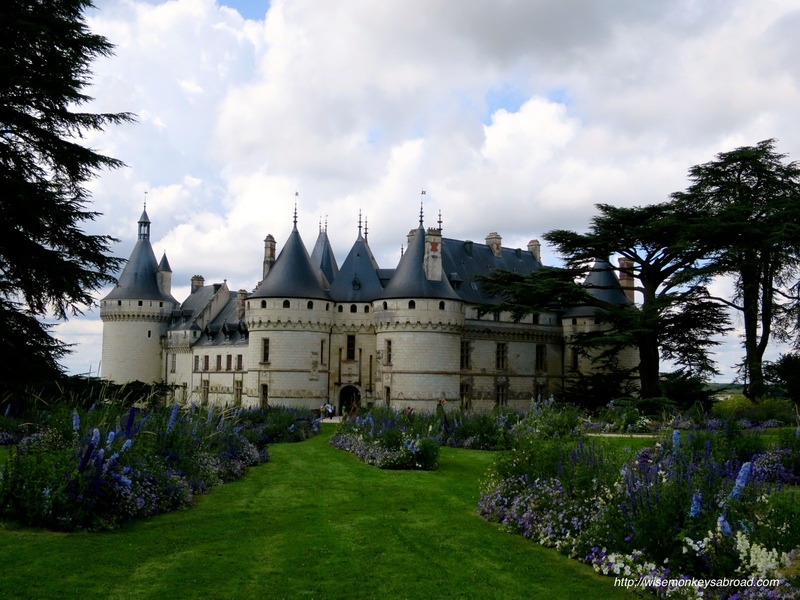 We were in the Loire Valley of France and felt like we had been transported back several hundred years. 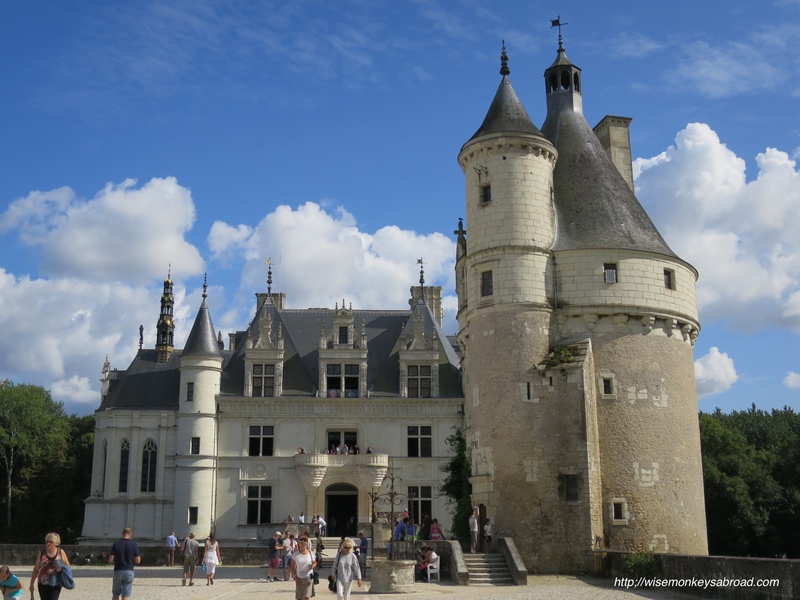 It was time to explore the châteaux and castles of the region. But when there are approximately 300 of them, 100 or so of which we can actually visit – how do we choose which ones to go to? So we decided to choose based on their exterior. Yes, we know we shouldn’t judge a book by its cover but we did! Because when we sought guidance by asking those working in the travel industry in Tours which were their favourites (to help us narrow it down), they all responded the same. Which was clearly not helpful to us at all. To start with, we thought they only said that because they were being diplomatic and didn’t want to influence which ones we saw. 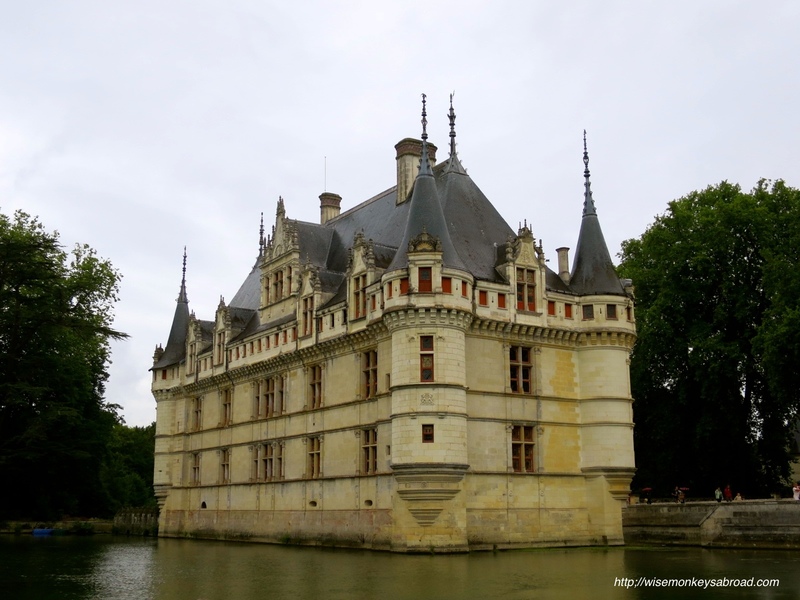 After seeing 8 of the chateaux– we realized we couldn’t choose which one was our favourite either! Each was so architecturally different, with different interiors, gorgeous gardens or unique histories that enchanted us. Here are a few sneak peek photos of the 8 we saw. The last of the great château built during the Renaissance. This estate has a magnificently manicured garden, fitted out with a vegetable and herb garden as well. This one is probably best explored on a lovely day. It was owned by the financier to King Francois I. 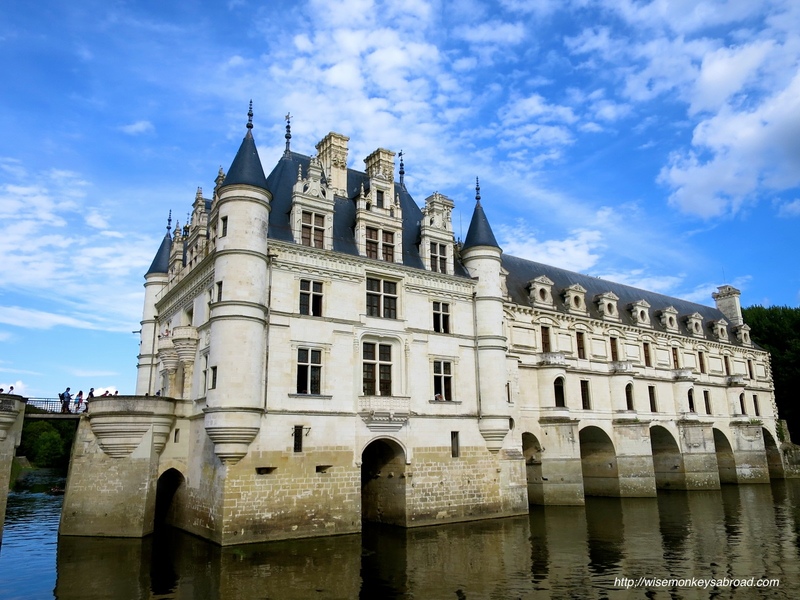 He initially acquired the fortress in the early 1500s before building the luxurious château. 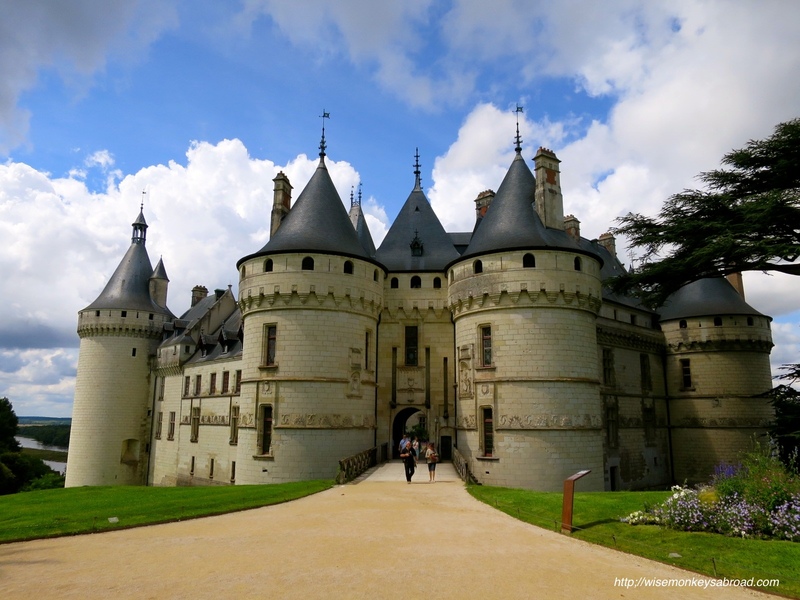 The biggest of all in the Loire Valley – it was intended to be a hunting lodge for Francois I but he only spent about 72 days there. The grounds are so vast, it is enclosed with a 32 km wall. It is currently inhabited by the descendants of the Huraults Family. It has been owned by the Huraults for 6 centuries. 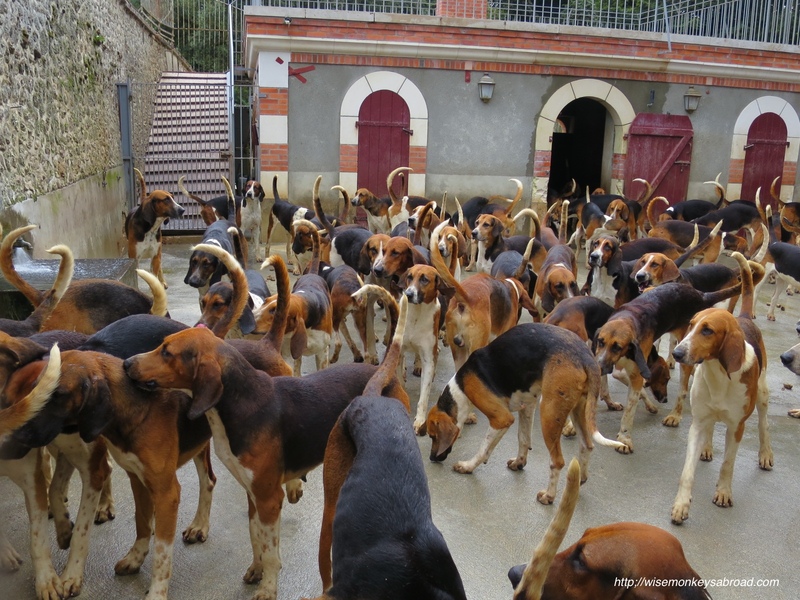 It is still used for hunting parties and has kennels with about a hundred French Hounds which are fed at 5pm – it is rather entertaining to watch. There may be a chance you recognise this château from Tintin? 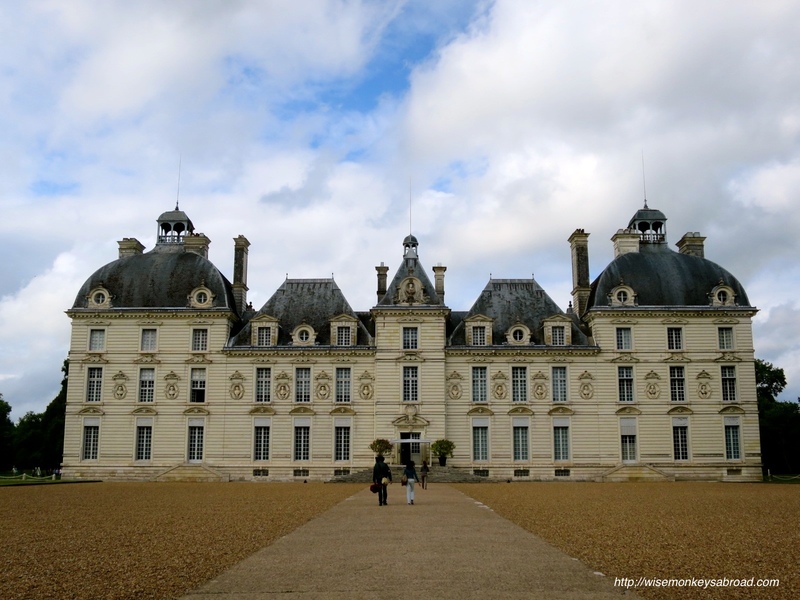 Leonardo da Vinci spent his last few years in this château at the invitation of Francois I. This was an interesting château as we really got an insight into the rather profound thoughts behind da Vinci’s inventions. 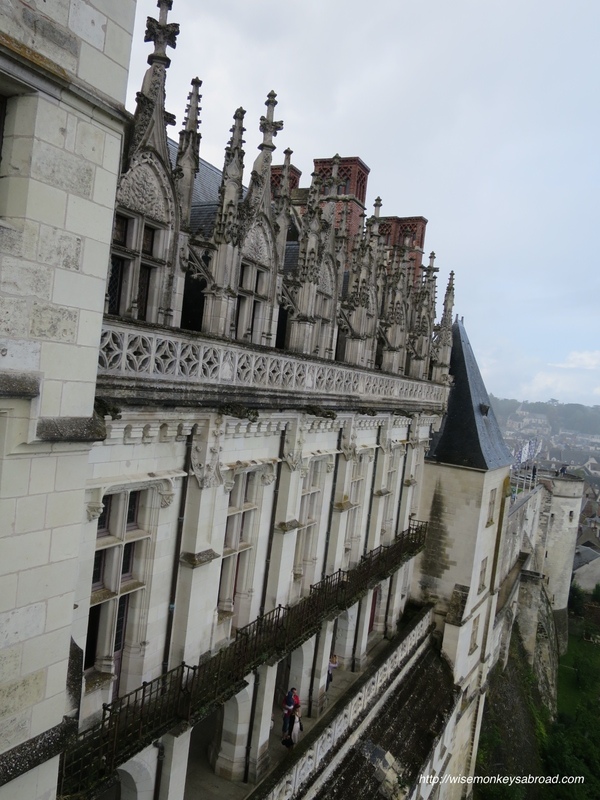 This was a place to live and stay for royalty but also had a wonderful view of the Loire Valley. It was a symbol of the King’s power and economic status. 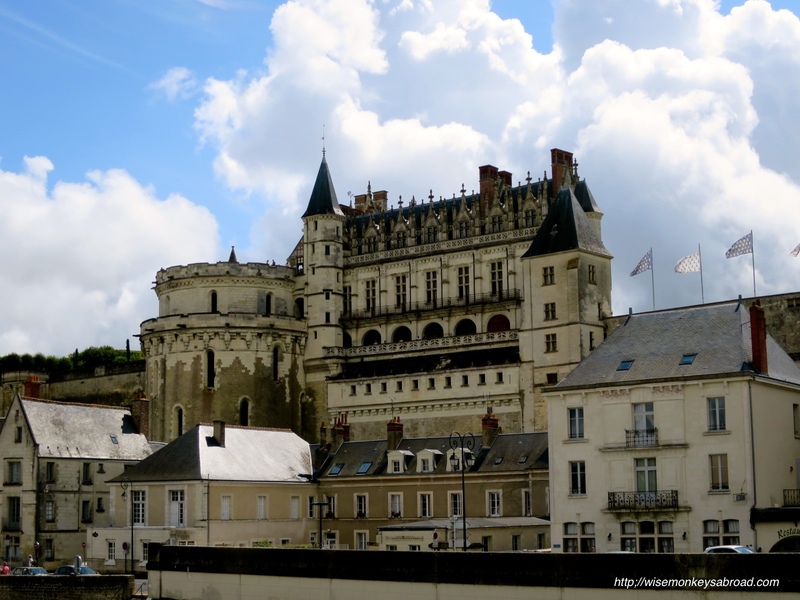 Possibly one of the most recognised château of the region – it was built over the River Cher. This is another estate with beautiful gardens. King Henri II gifted his mistress Diane de Poitiers with the château. His wife, Catherine de Medici removed Diane and in exchange gave her Chaumont. This château was likely used as a hunting ground. 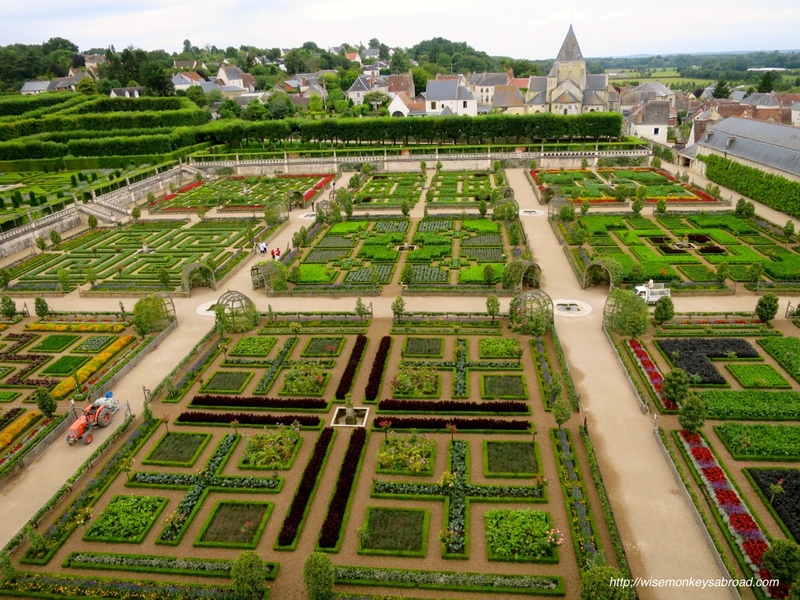 It has a remarkable garden and each year hosts an International Garden Festival. 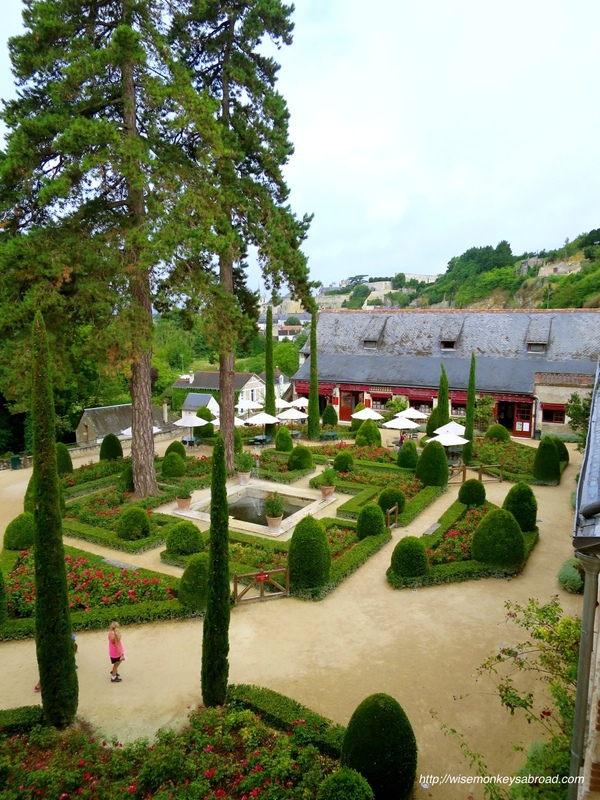 It has well-preserved horse stables which houses one of the finest gala saddleries in France. Based on just the exteriors, which ones do you like the look of? If you have visited the region, which was your favourite and why? 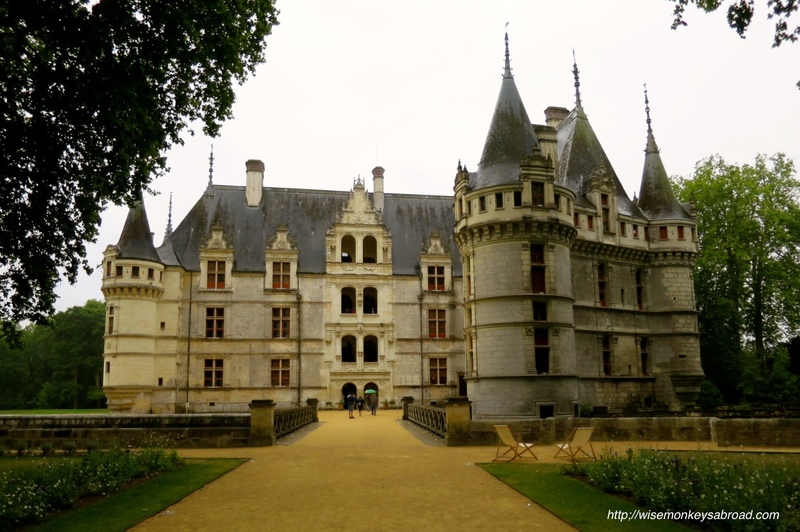 This entry was posted in Europe, France and tagged Amboise, Architecture, Azay-le-Rideau, castles, Catherine de Medici, Chambord, chateau, chateaux, Chaumont, Château de Chenonceau, Chenonceau, Cheverny, Clos Lucé Leonardo da Vinci, Clos Luce, France, French Kings, gardens, history, inventions, Leonardo da Vinci, Loire Valley, Photography, sumptious, Tours, Travel, Villandry.